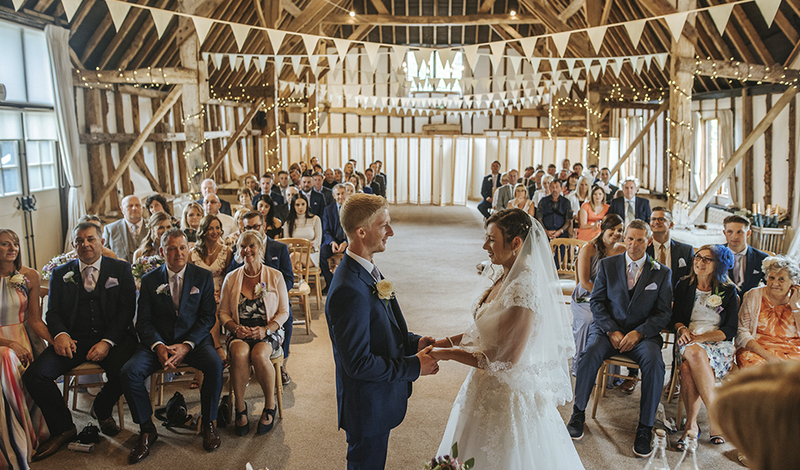 Kim and Lewis wanted all their friends and family to be with them to celebrate their special day. 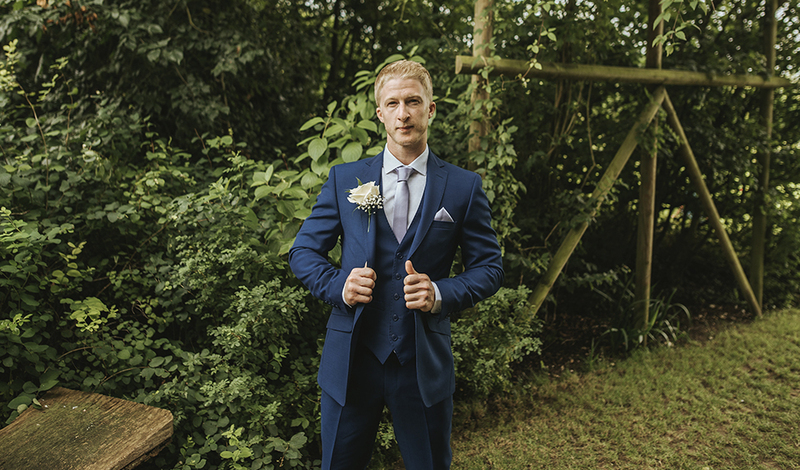 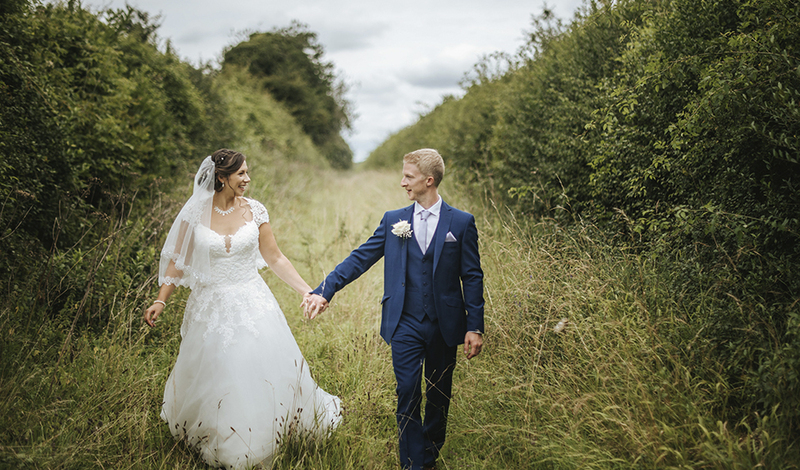 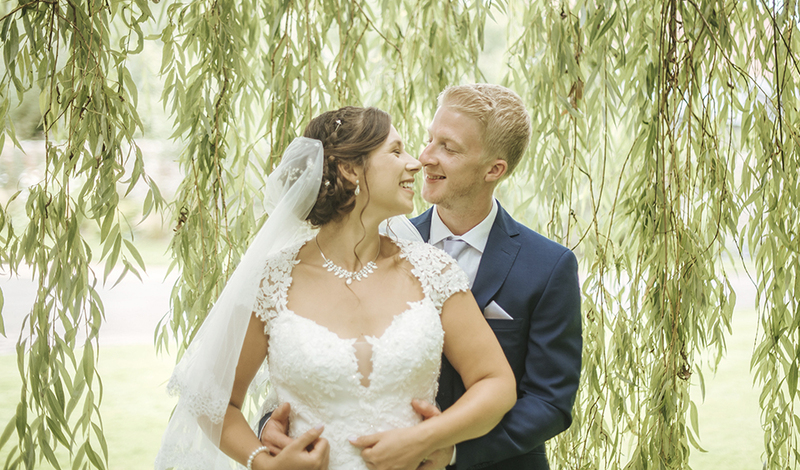 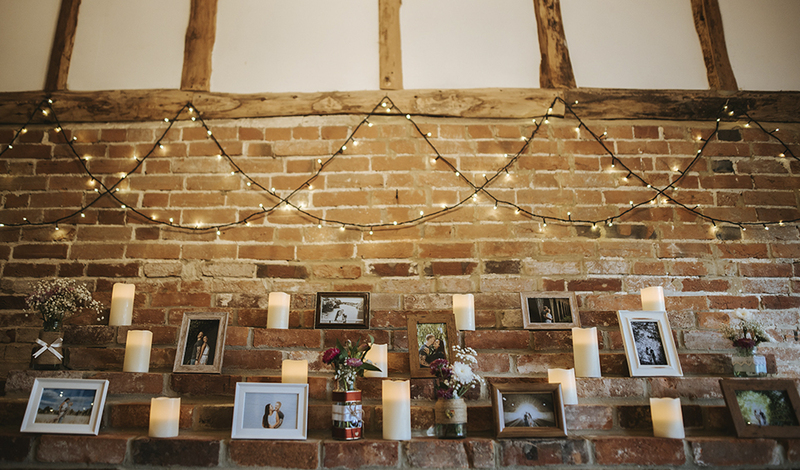 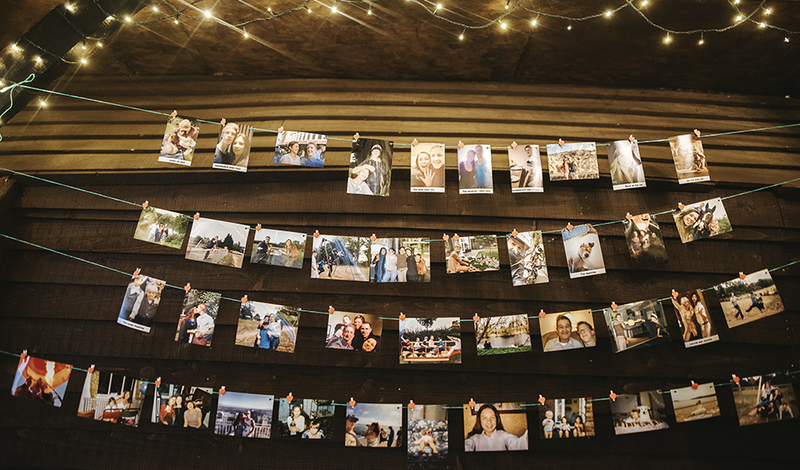 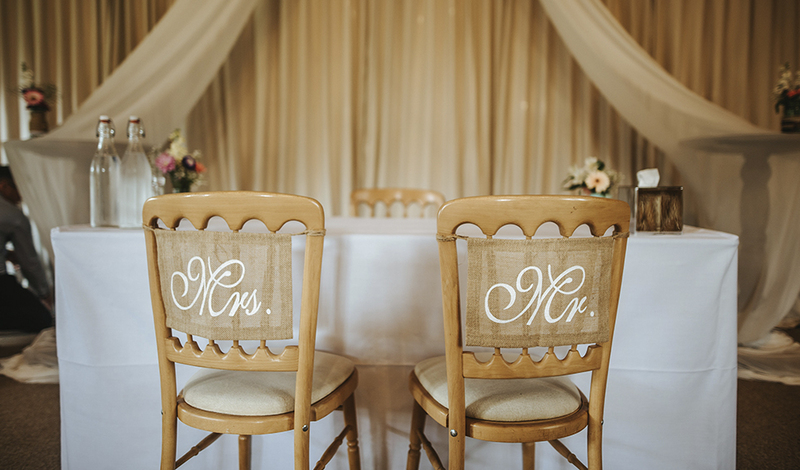 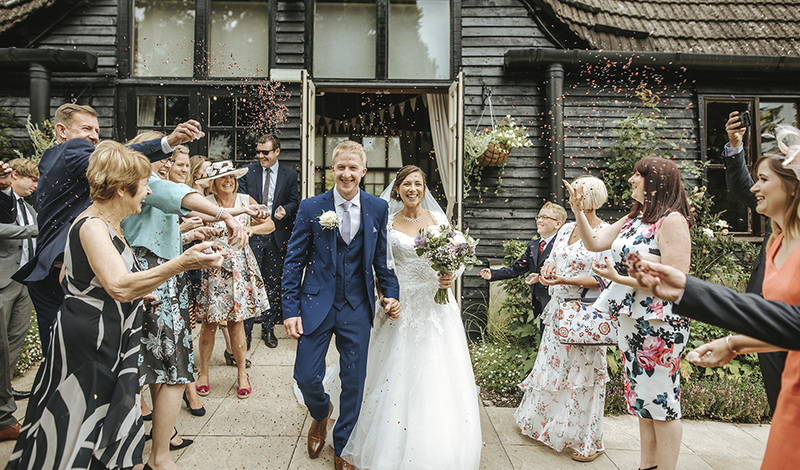 Their summer wedding married classically elegant and gorgeously rustic touches to create a wedding that was memorable and beautiful in equal measure. 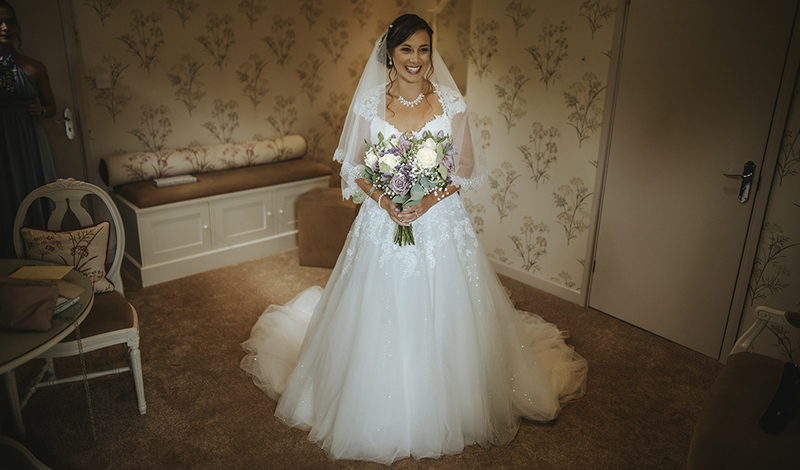 The finishing touches to Kim’s outfit were shoes featuring more sparkles and butterflies and her nanna’s pearls and earrings. 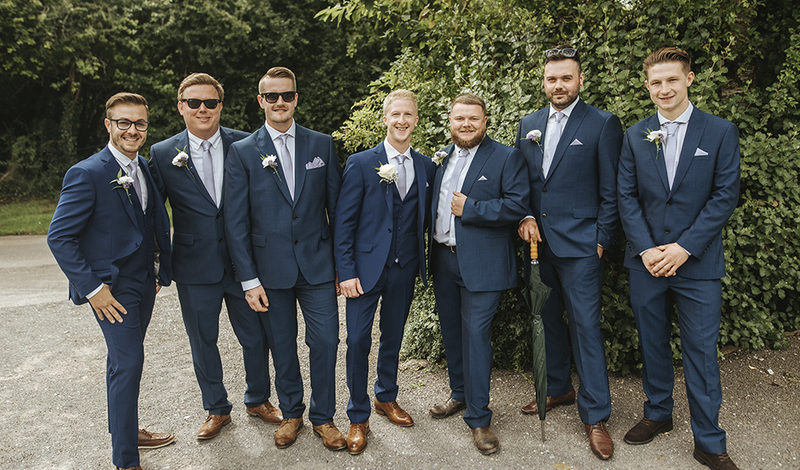 Lewis wore a fabulous three-piece suit from Moss Bros and shoes from Next while the bridesmaids wore multiway dresses from Debenhams. 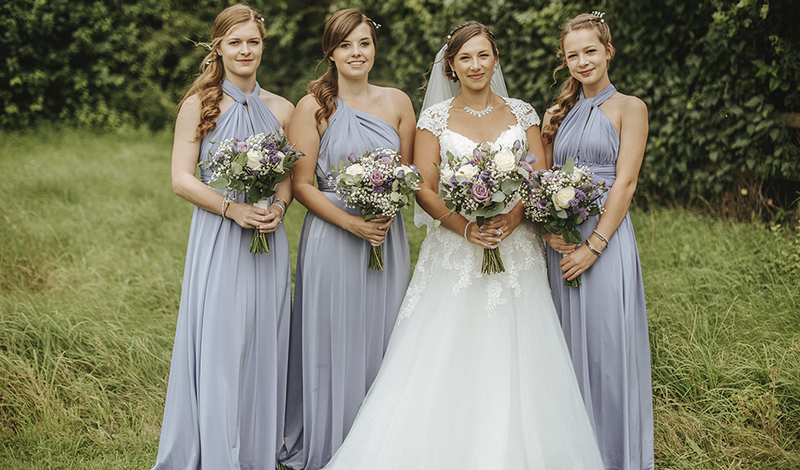 While Kim chose the colour, her maids were free to decide which way they wanted to wear their bridesmaid dresses. 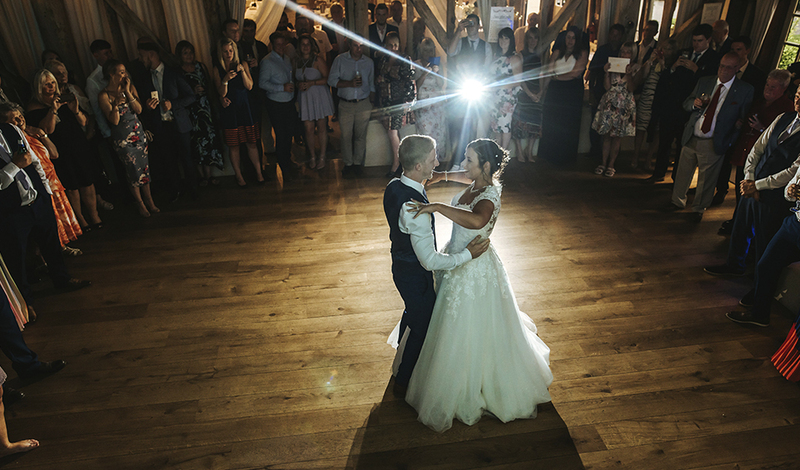 The wedding day itself was absolutely everything Kim and Lewis hoped it would be. 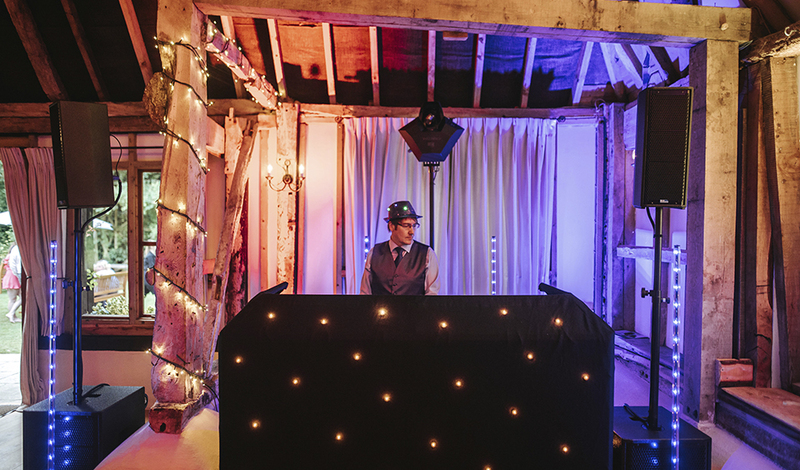 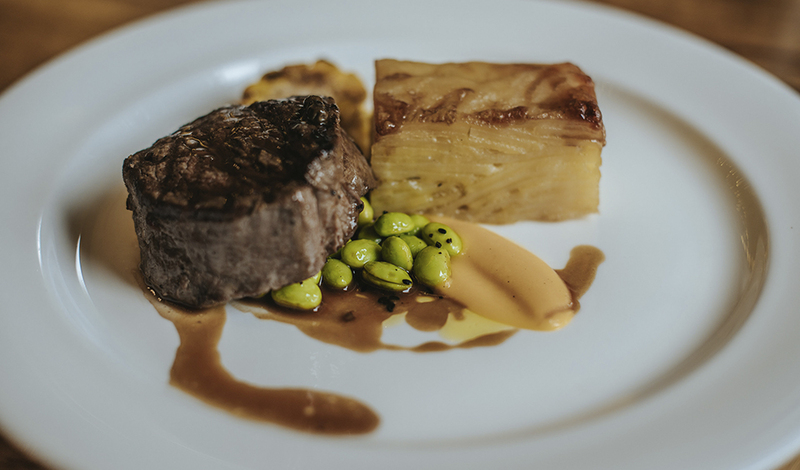 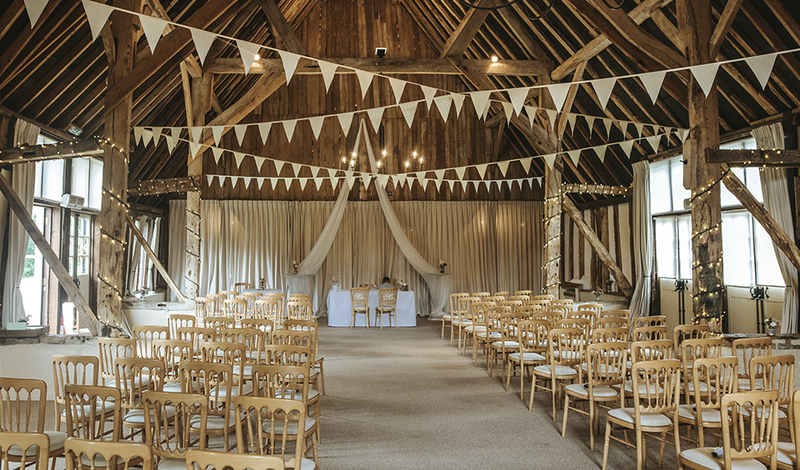 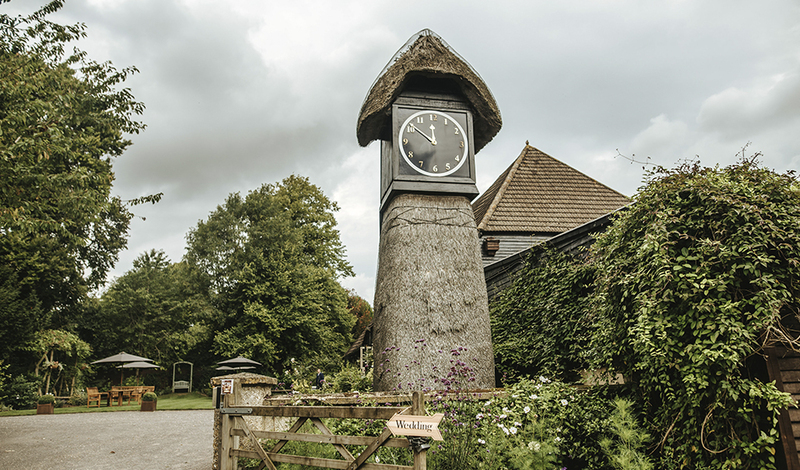 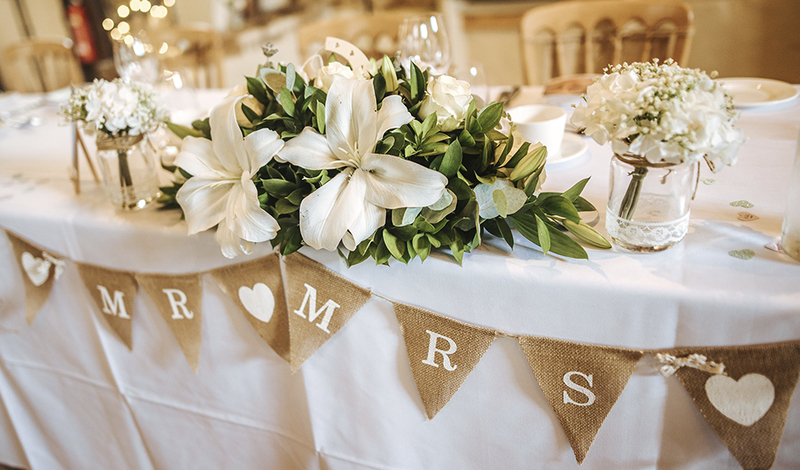 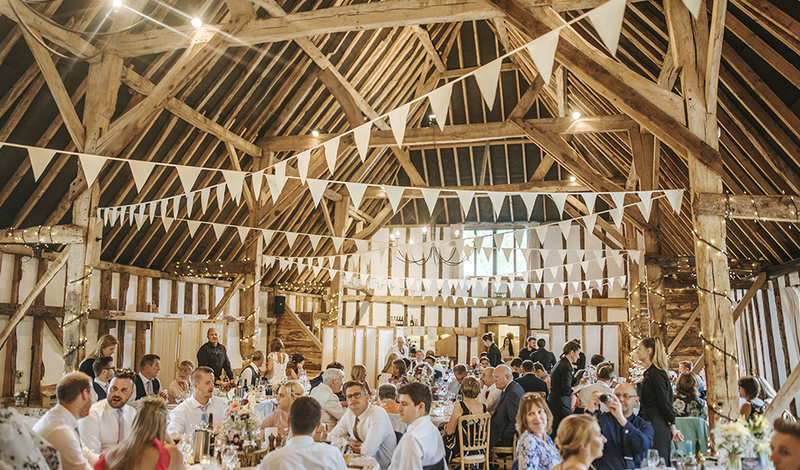 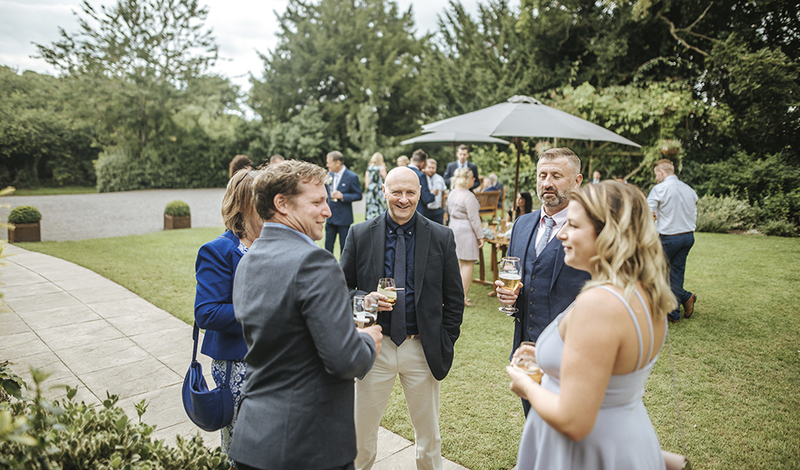 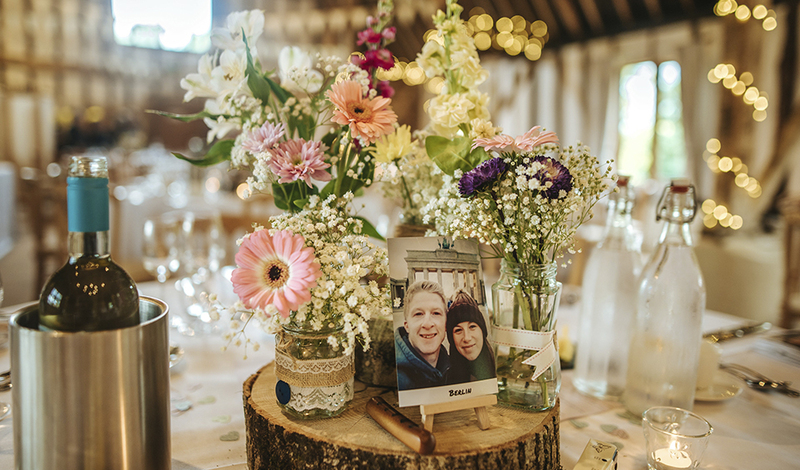 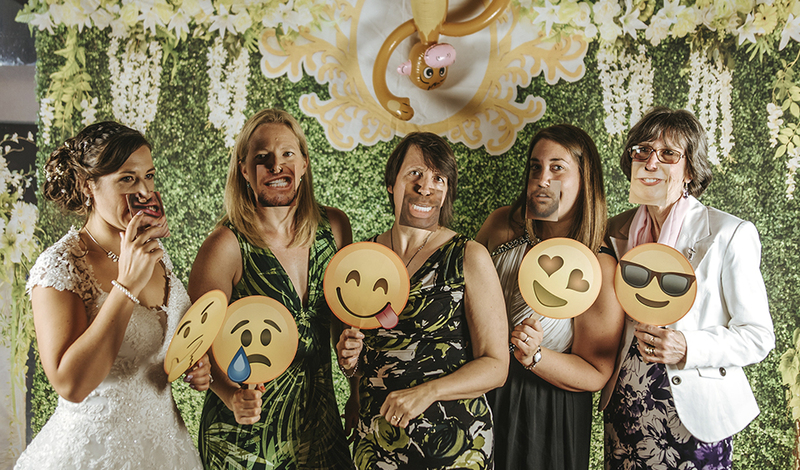 After an emotional ceremony at Clock Barn, the couple and their guests celebrated with a drinks reception before everyone took their seats for the wedding breakfast. 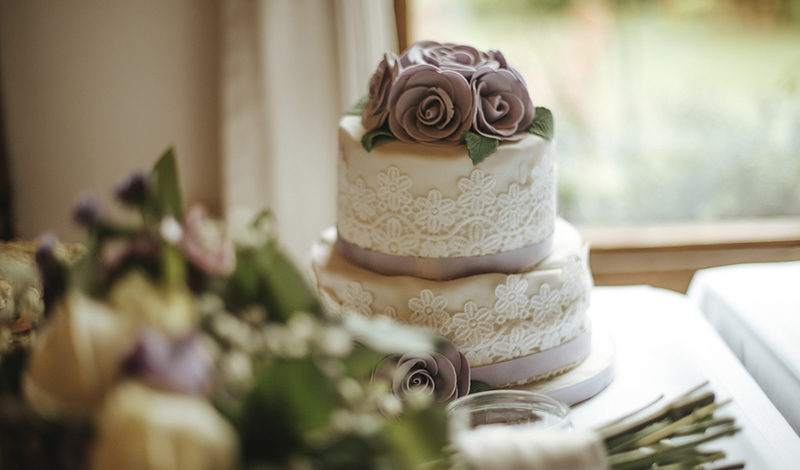 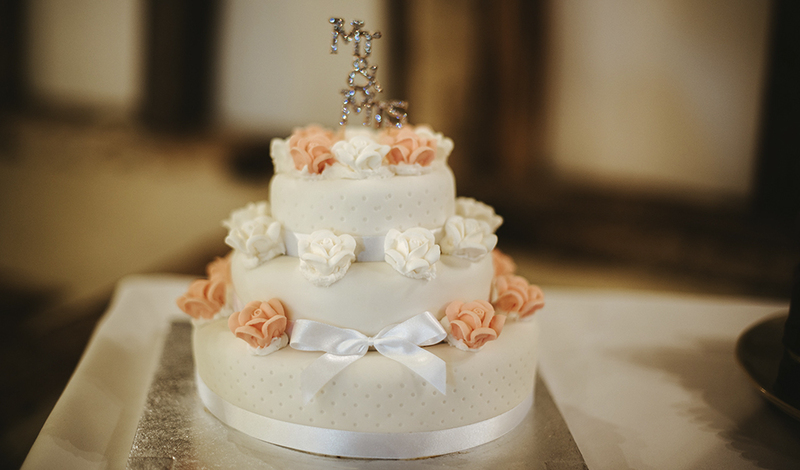 During the evening, The Great Wedding Bake-Off took place – lots of guests brought their showstopper cakes with them to the wedding and then everyone could enjoy the bakes during the evening. 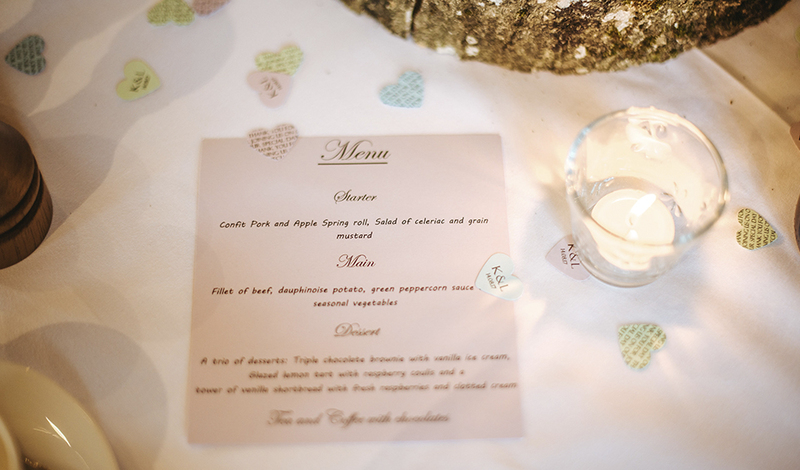 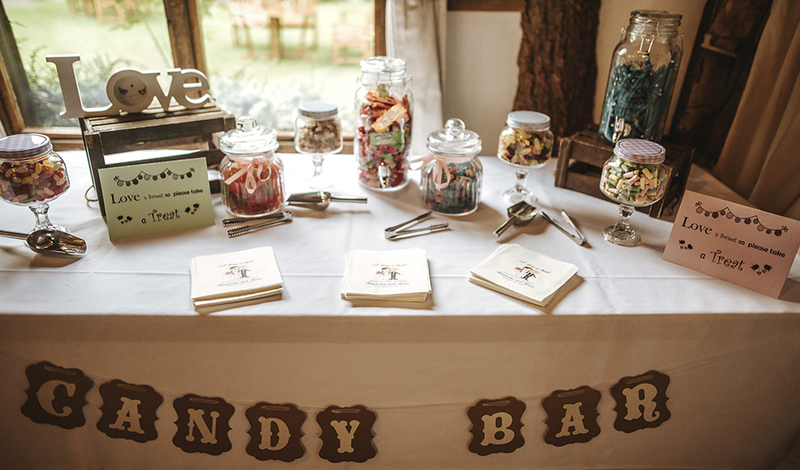 Kim and Lewis also arranged a popcorn machine and sweetie table so guests were well looked after all evening long.